PHILIPSBURG — Three Caribbean airlines have formed an alliance which promises to make it easier and cheaper for travelers to move between 32 countries. Antigua-based LIAT, Air Antilles of Guadeloupe and Sint Maarten’s Winair have joined forces under the CaribSKY project which is co-funded by the European Union’s INTERREG Caribbean program to the tune of $5.8 million dollars. The details of the project were revealed today during a media conference at La Creole Beach Hotel and Spa in Guadeloupe. 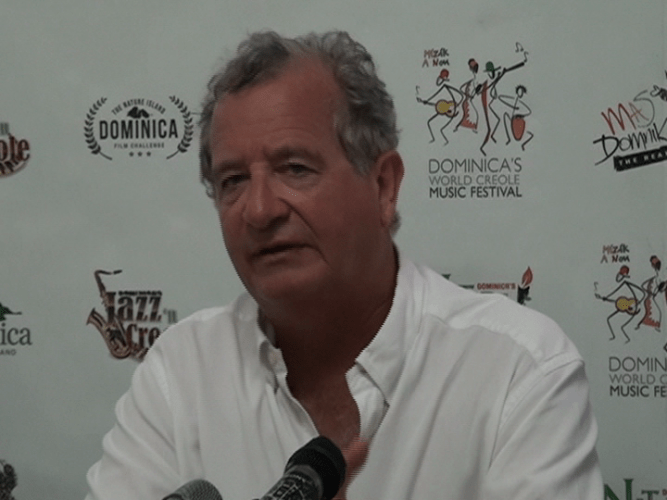 Air Antilles chief executive officer Serge Tsygalnitzky said CaribSKY would allow passengers to travel on any of the three airlines on one ticket. This will be facilitated through codeshares and interline agreements. “Sometimes, a customer has to purchase two tickets, three tickets to get to a single place. Now, what we want you to be able to do is travel seamlessly anywhere you want to with a single ticket,” he told regional media. At the same time, LIAT, Winair and Air Antilles will be able to share know-how, optimise schedules and bring their teams together while maintaining separate identities. Together, it projected that the three airlines will operate 25 aircraft and transport 1,400,000 passengers annuals on 70,000 flights. LIAT’s chief executive officer Julie Reifer-Jones said inter-regional travel was declining and it was hoped that CaribSKY will make it easier for passengers to move through the English, French, Spanish and Dutch-speaking territories. In brief remarks, LIAT chairman Dr Jean Holder pointed out that the Caribbean was the most airline dependent region in the world and social, economic and cultural life depended on the extent to which there is connectivity. St Maarten’s Minister of Tourism, Economic Affairs, Transportation and Telecommunications, Cornelius de Weever also highlighted the importance of CaribSKY. He pointed out that it is often easier and cheaper to cross the Atlantic than to visit a Caribbean territory.